We are committed to provide you and/or your loved ones with the best and most comprehensive care in the comfort of your home-365 days a year. Helping Hands Home Healthcare & Hospice has developed its home health care programs to serve the multi-faceted needs of the individual. We will provide a comprehensive care plan for clients who have chosen to continue their recovery or health management at home. The goal of home health care is to promote the well-being of the client at home. We understand that your preference for home is grounded on the comfort and relaxing environment that you cannot experience in a hospital or a nursing facility. Our staff will seek ways to provide you systematized and structured health services while you keep your choice of staying in your own residence. 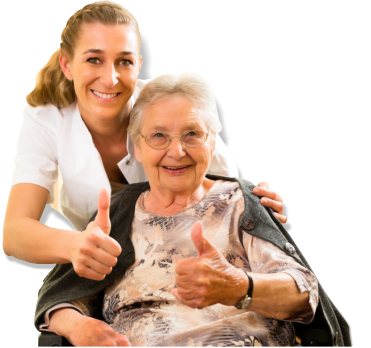 We can also provide home health care in a nursing home, a retirement community or any place that the client calls “home”. With home health, patients recover faster after surgery or after being diagnosed with an acute illness. It shortens the need for hospitalization and can also reduce the chances of re-hospitalization. Better health is possible at home! We help you achieve your preferred quality of life through the support of Helping Hands Home Healthcare & Hospice professionals who will promote your highest level of independence and ongoing health management through education.